Are you being sued or threatened with garnishment on private student loans by Transworld or NCSLT? First, don’t give up. You may have numerous defenses available – we are a law firm that helps student loan borrowers. Don’t let them get a default judgment against you where they can garnish 25% of wages and seize your bank accounts. Over 90% of these cases go to default judgment. Judgments last 20 years. They are normally bankruptcy proof. This does not need to happen. Not only is it important to defend a private student loan collection case, there are ways to go on the offense to obtain dismissals. Outcomes can range from settlements of 20-50% over time or a complete dismissal. Let us help you find a solution. We offer low cost payment plans to settle or defend private student loan collection cases. Many of these arguments were raised by the CFPB in a recent Complaint filed against National Collegiate Student Loan Trusts and Transworld. Today, the CFPB announced they are fining National Collegiate Student Loan Trusts $19 million for suing on student loan debt that they couldn’t prove was legitimate. We’ve been watching this case for awhile now. As a result of the CFPB’s actions it also ordered National Collegiate, which is a group of 15 trusts, to conduct an audit of all 800,000 private student loans in it portfolio. To be fair to National Collegiate, it has also attempted to get this information from Transworld and AES for several years itself, even going to the extent of filing several lawsuits against AES/Transworld to obtain this information. Some of the “dirty laundry” aired in those cases is used as evidence in the defense of our clients’ claims in fact. Transworld was also fined $2.5 million for its part in the servicing of these private student loans. So what does this mean as a practical matter? First, it’s important to look for and raise any statute of limitation defenses in any pending cases. Second, the accounting and servicing records maintained by AES may be faulty and contain errors. It’s best to hire a student loan attorney who knows how to assert these defenses and more. The CFPB found that over 2,000 collection lawsuits were filed on behalf of NCSLT trusts where they did not have the documentation necessary to prove either that they own the loans or that the consumer owed the debt. Nearly 500 collections lawsuits were filed after the statute of limitations has expired. 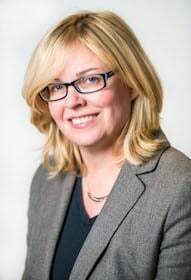 These lawsuits could also form the basis of a FCCPA complaint against the student loan company. If you want to see more specifics regarding the allegations, the Complaint is located here. 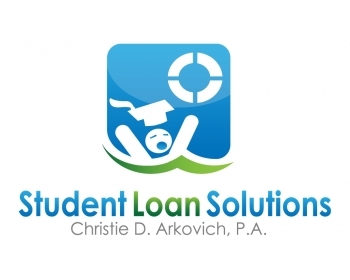 For more information about defending or settling your private student loan debt, please contact us for a free consultation at christiearkovich.com.